Yep! 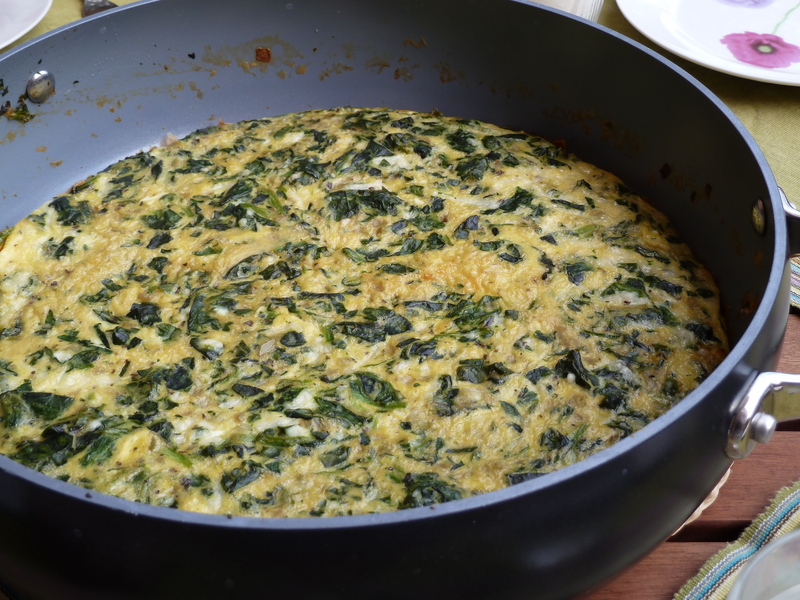 Spinach frittata again. It’s a favorite weekend breakfast dish in our family. I made it last Sunday but didn’t have time to post it. So, here it is. This time, with the right color and fluffiness. Try it for your Sunday breakfast. How to make: Saute the onions for five minutes. Add the frozen spinach and basil and chaute for another five minutes or until the spinach is soft. Add salt, pepper, and oregano. Mix the eggs with the Parmesan and add them to the pan. Stir well and let the food cook at low heat. When the edges are firm, place the pan under the broil for a few minutes to cook the top. Ready! Addendum photos: The photo below was added to this post on 2011/09/15. 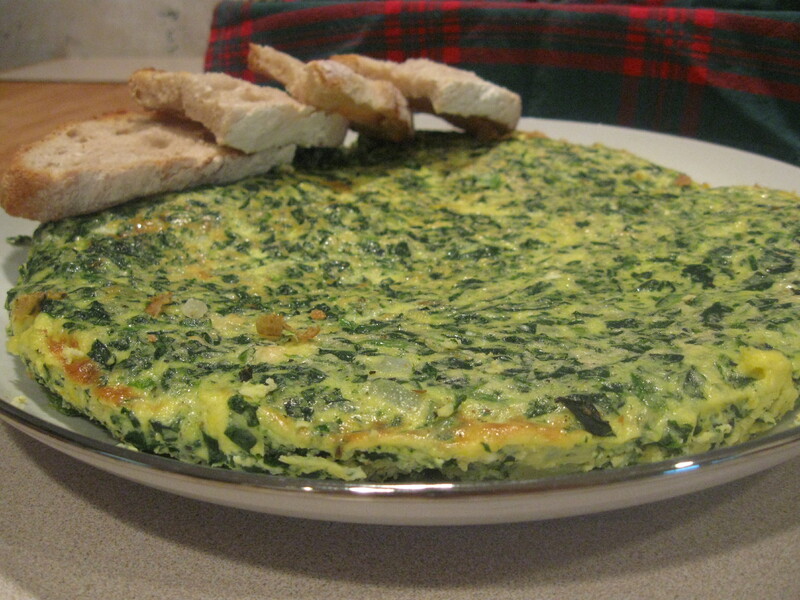 I took this made-in-Greece fritatta while I was there in August 2011.